A fun book and unique story. Please keep going and make it a series. Where is Andrea going next? A Focus On Apollo 8 and The Risks They Took. I am a fan boy of the Apollo missions so this is added to my collection of 60's aviation books. I really like the detail that was not included in other books. The book had great insight into the families and their thoughts as well and a more detailed look at the engineers. The Astronauts are the heroes, but it was nice to hear about the heroes behind the heroes. Well written and researched. 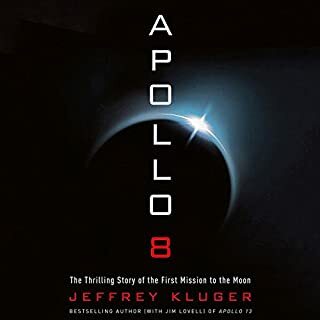 If you are wondering if you have heard it all about Apollo, I doubt it this will fill in some gaps about this missions and the huge risks taken. A Novel of How the West Was Really Won! It is not a western but it is at the same time. It is not pro Native American and at the same time not Pro US Army. 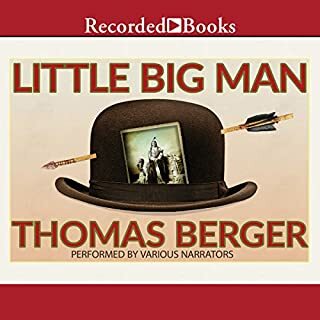 Little Big man is a must read for anyone who likes historical fiction . Our main character is the best anti-hero I have ever read. As an audible book it will go down as my favorite novel. Rich deep characters set in historic times. Little Big Man moves between a life of being a Native American and the settlers of that time. Often he is faced with the tough choice of who's side is he on. This should be considered a classic work of american fiction. It truly narrates the tougher decision that faced those who lived at that time. It is a great book and has appeal for any young adult who is trying to grasp what real life was like at the turn of the century. A fun book with good humor and drama. If this was written as a novel, I would have thought that it was just a rip off of Breaking except using the internet. Two things it is a true story on a scale I would not have thought possible and how does such a nice guy goes down such a dark path. The book was one of the best crime thrillers I have ever read and even more remarkable is the fact it was true. The author did a great job of balancing out the two sides of the story. You felt the drama and suspense from both sides of the law. A fantastic story with excellent writing makes this a good book. 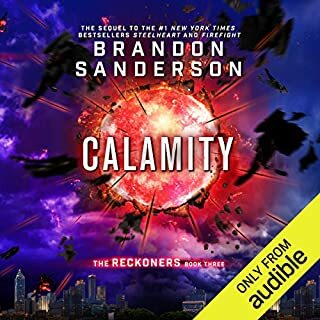 The performance was excellent by Will Damron which makes this one of my favorite audible books ever. I am not going into too much detail I really liked the book it was an interesting original story much like Pillars and other books, about survival in a post pestilence world. Very original very good, I liked every character and their role in the book. Kate Mulgrew is now my favorite reader over Scott Brick (sorry Scott). I hate to say though the language was too much to many F-bombs and too many in a row. Seriously after the first 6 or 7 F-Bombs from one character in a row do you really need to go for 12 or 13? Whenever you resort to describing a character's fear, frustration or anger through expletives and only expletives it shows a lack of imagination. 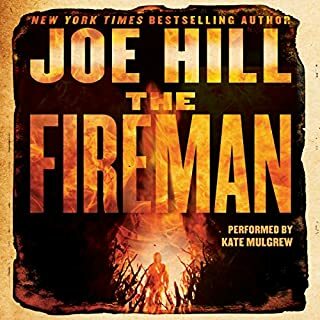 I think you Joe Hill, I think your dad would be disappointed. Great story good book ruined by too much bad language. Life is tough on space station Belvaille - not for the aristocratic nobles that call it home, but for the poor slobs like Hank. Hank is considered a celebrated cutthroat and the oldest living person in the city. His occupation is to be hired muscle for those people who don't want to get their hands dirty but still want dirty things done. HLH is my favorite person ever! 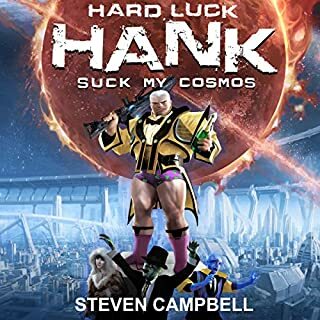 The Hank books are just fun. You don't have to start with the first one but it helps. Award winning fiction no. Just fun to listen to yes. 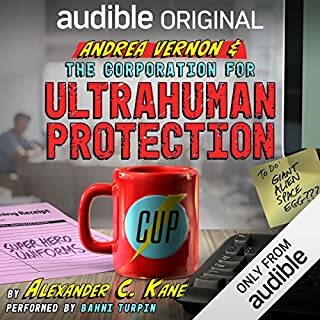 Good series a new take on super heroes fun good car trip listen. This book begins and ends in new territory for super heroes and young adult fiction. NASA's history is a familiar story, culminating with the agency successfully landing men on the moon in 1969. But NASA's prehistory is a rarely told tale, one that is largely absent from the popular space-age literature but that gives the context behind the incredible lunar program. America's space agency wasn't created in a vacuum; it was assembled from preexisting parts, drawing together some of the best minds the non-Soviet world had to offer. This is the story behind the story. 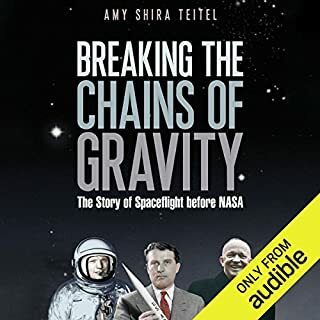 Amy Teitel has done a great job in having enough technical information in the book to make it interesting but not so technical that it took away from the story. So much of this story is close calls and serendipity, it amazes me that how things lined up to even have a space program. This is the story of a humble rocket club who's participants became the fathers of modern rocketry. Enough Tech to be interesting but not so much it takes away from the story. How did Scott Crossfield's career decisions affect who would be the first man on the moon. You have to find out. How far behind the Soviets was the United States? You will learn about the programs and politics that got the U.S. to claim first man on the moon. Very well written and a good narrator. If you liked the right stuff and Apollo Thirteen this is right in line with those books and I feel just as good. What did you love best about Countdown to Zero Day? The literal genius that went into creating the first digital weapon as well as the literal genius it took to find it and figure out what is was. I really appreciated how this book read like a fictional spy novel at times. I had to keep reminding myself that this is non-fiction. If you are wondering how resourceful our government is when it comes to stopping global terrorism listen to this book. The entire team at Norton Anti Virus. To me they are both heroes and truly the brilliant minds of our time. The way they stuck with finding the answers to exactly what was behind the Stuxnet Virus was impressive. They could have stopped at any time but they had to solve this puzzle for themselves as much as the computer community. Their dedication went so far as to learn a new computer programing language that they would never use in the real world, just to learn more about the Stuxnet Virus. Have you listened to any of Joe Ochman’s other performances before? How does this one compare? I have not but I would again. It was a very good performance. Blessed are the GEEKS as they will dominate the earth. I did not give the book five stars as some parts of the book are very technical. I am in the IT industry and it was a bit much for me. It did not take away from the story as a whole but it did slow the story down in a few spots. 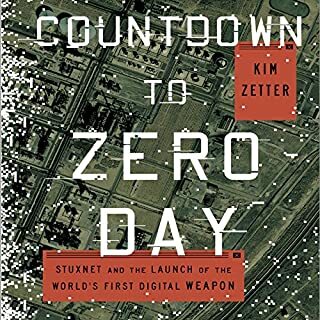 I understand it was important to have the information in there to help us understand the scope and power of Stuxnet but it was not my favorite part of the book. I recomended this book to my daughter (she is an adult) and she listened to it as well. She enjoyed it as much as I have. Bill Hodges without a question was my favorite. The Det. Ret. was plagued by his past and present. It was great to see how his how the character evolved in the book. He transformed himself over time in a way that was realistic as well as charming in a way. I should say which scenes creeped me out the most. That would be a better way of saying it. Brady (the villain) is quite the arrogant jerk and any scene where he is at home with his mother just plain creeped me out. There is one scene where he is planning a murder of sorts. In the scene, things are not as they seem and I feel listening instead of reading made it worse for me. This scene really brought home the whole mother son "special" relationship that Brady had. Brady like Norman bates is disturbed but much worse in many ways. The scene where he cooks a special meal up is just plain disturbing but in a good Stephen King sort of way. 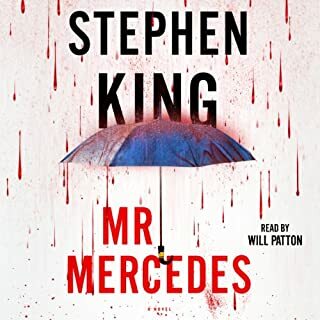 No not because it was not interesting but because when Stephen King writes a book like this, I have to read it in doses. As my Creep - O - Meter goes up and is at 10 I have to take a break. Other than that I would have listened to the entire book if I had that much time. 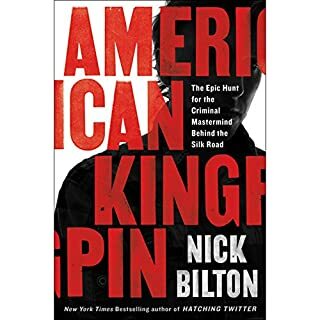 This is not the first book about homicide using a car and it is not the first book about a twisted mother and son relationship but is well written and the plot has a very original feel to it. Would I listen to it again NO but I did enjoy listening to it and I did recommend it to someone else.